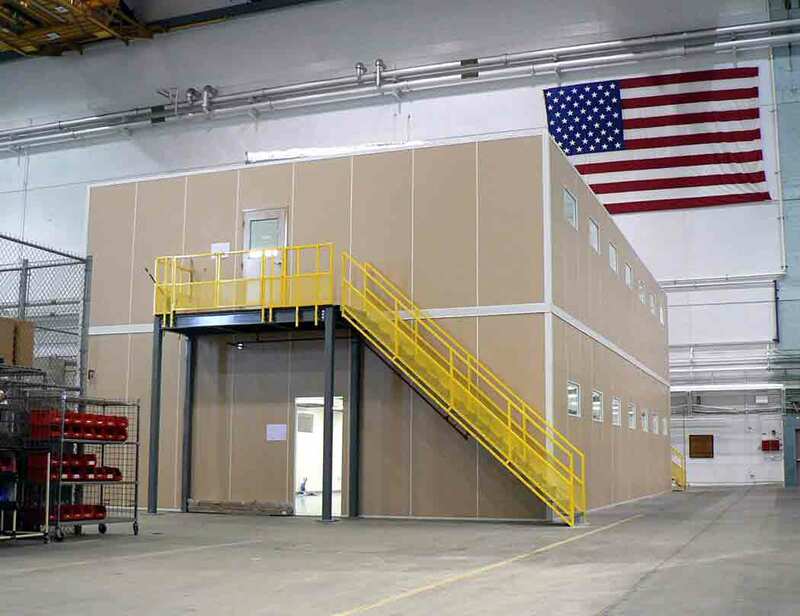 A Panel Built in plant office provides a well-constructed, durable option as an alternative to stick and drywall office construction in any location. When a Panel Built in plant office is constructed by professionals, the result is an aesthetically pleasing and completely functional office space. 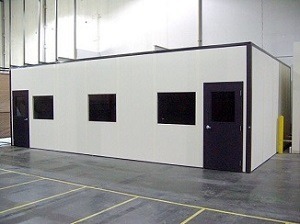 One of the many benefits of prefabricated modular rooms is the convenience of mobility. Other benefits include the speed of construction from design to finished product, the choices available for materials and colors, and the cost effectiveness. In plant offices are constructed with custom or standard prefabricated pieces that are shipped and professionally assembled at the plant location. Unlike drywall construction, these prefabricated pieces fit together without the need for excessive sawing, drilling, and time-consuming measuring and fitting. Without these operations, the assembly of the modular office is finished quicker with less mess and wasted materials. The modular wall pieces are designed to fit together perfectly. The walls are fabricated with the customer’s needs in mind – there are raceways for electricity, data, and phone lines. Changes and expansions in a plant often require the moving of machinery and office space. A Panel Built in plant office is mobile to meet the needs of a growing and changing space. Ease of expansion a nd mobility are two of the greatest benefits to a modular office. When designing a in plant office, considerations include location in the plant, size, style, and safety for employees and visitors. An in plant office space provides workers with a safe and temperature controlled environment to hold meetings, go over plans, enjoy a break, or view plant operations. Modular offices are attractive enough to use as a welcoming center and meeting place for plant visitors. Choosing a material for the in plant office is an important decision. The material used is not selected only for appearance. Different materials provide varying levels of sound protection, fire protection, and the ability to serve other customer specified needs. Window wall sections are available to create a viewing area of the plant operations. These sections provide the same comfort and security as wall sections and door sections. The most commonly used material for modular walls is a ½” vinyl coated drywall. This material protects the interior of the office space from noise, plant operating temperature, and threat of fire. It is a cost-effective material that is pleasing to the eye. The wall joints are covered with either a vinyl divider or an aluminum binder post. The in plant office can be located on the ground floor of an operation facility, or on a mezzanine for a better view of operation and a way to conserve space on the plant floor. When building on a mezzanine, construction is guaranteed to be as safe and durable as a ground floor office space. Mezzanines offer a fantastic way to provide an office space without using precious plant floor area. Steps and railings provide safety; a mezzanine office space is able to be designed to meet any size and space restrictions and requirements. A mezzanine office space is capable of being built over empty areas or storage areas, even providing a hanger like facility underneath the offices. Mezzanines also offer a bird’s eye view of the plant or factory operations that would otherwise not the available. A two story in plant office option gives twice the amount of space while taking up half the floor space. With a reinforced roof in place on the first story, a second story office is simply added. It is not necessary to build both levels at the same time. With an eye towards expansion, the reinforced roof is installed during the initial construction and then the second story is added when the time comes for expansion. Tall wall construction is another option for a in plant office. Tall Walls provide a higher office space without the use of multiple wall panels. The use of tall walls makes the office more secure and attractive looking. The assembly is no more complicated than a standard size office space; tall walls are just as easily relocated. A Panel Built in plant office design is easy to customize to the specific needs of a customer. While there are predesigned offices that would suit the needs of just about any plant space, often a customer has a specific need that they feel cannot be met with the designs already available. The versatility of prefabricated offices makes changes in design much less of a hassle than with the design restrictions of a stick and drywall office. Visit us for design options and to view layouts.